Just when we thought Rajasthan is all about colors, dance, music, festivals, here comes one more event to add a feather in the cap! 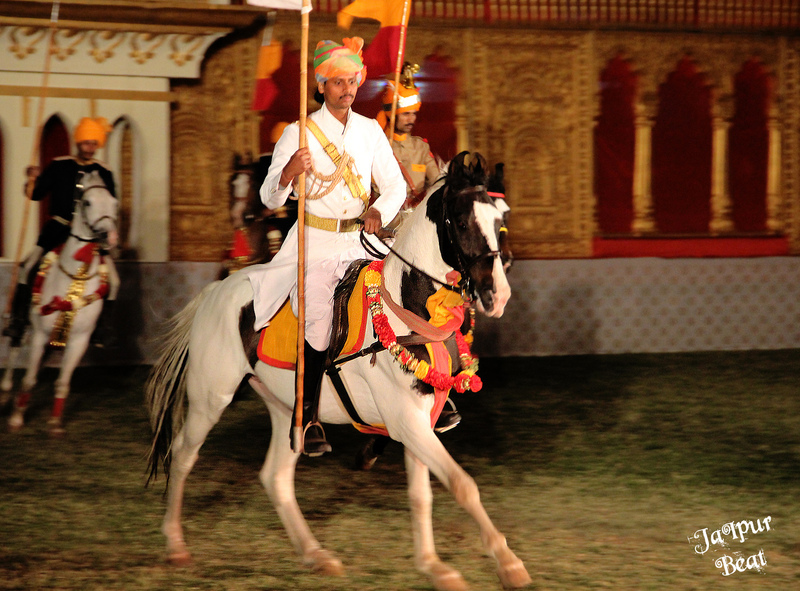 The widely known and celebrated ‘Dancing With Horses’ event that was also performed on the occasion of Diamond Jubilee of Coronation of Queen Elizabeth II at Windsor Castle in London – was performed in Jaipur for the first time today i.e. 14th March. You have been to jungle safari, desert safari, so how about experiencing a horse safari now? Especially when the weather in Jaipur is neither too hot nor too cold ! 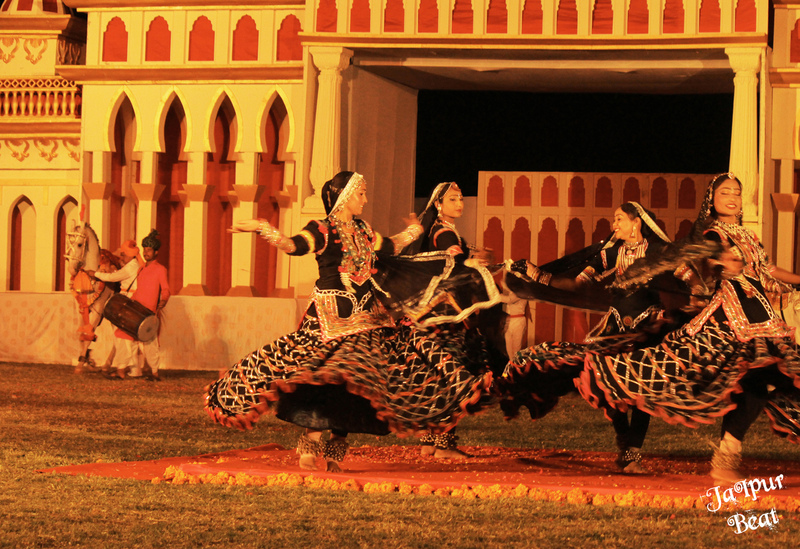 Dancing with Horses is an award-winning spectacle featuring dancing horses, tribal dancers, cavalry tent peggers and folk musicians of Rajasthan. The show has excerpts choreographed at the world premium of Queen’s Diamond Jubilee that was held at Royal Windsor Horse Show, 2012. 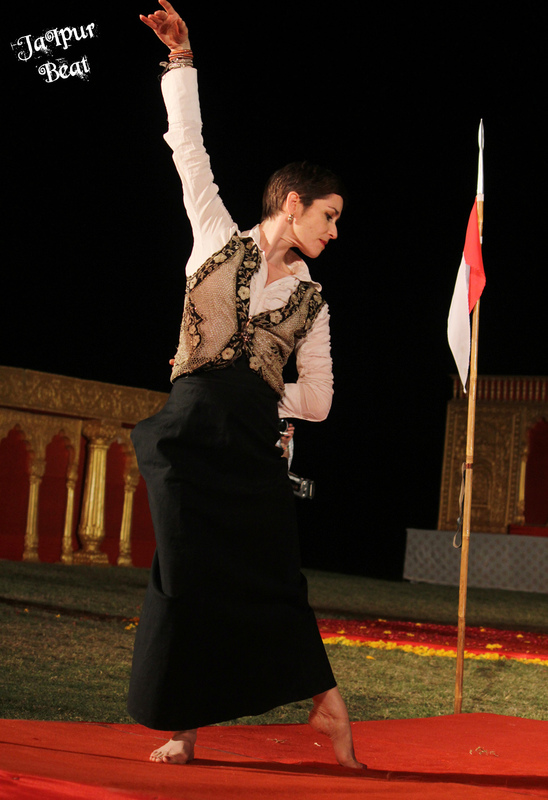 The show was one of the most exciting events in Jaipur. 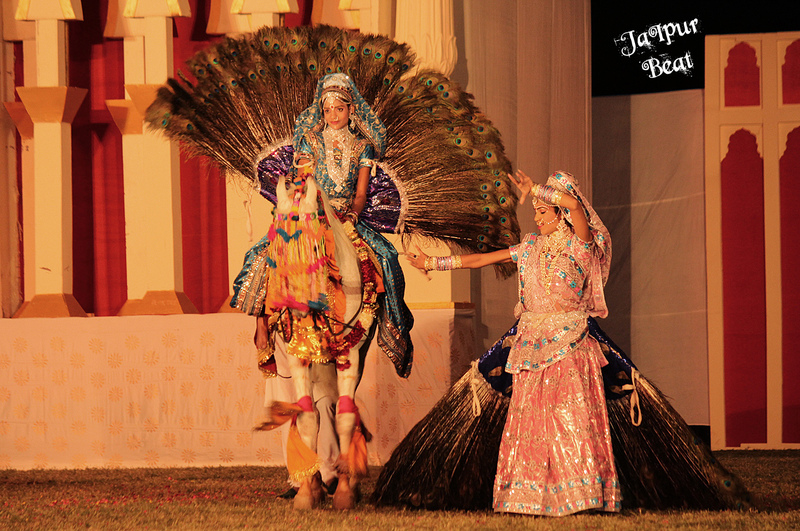 It was a truly magnificent sound and light theatrical experience showcasing dancing story tellers and musicians who set the stage for the most precious jewel of India’s heritage; the Marwari Horse. As many as 30 horses, 15 riders, 3 foreign dancers, 20 Indian cultural dancers, 10 musicians and 5 horse trainers participated in the event. There was no entry fee for the show and a crazily large number of foreign tourists, members of the erstwhile royal families, celebrities, bureaucrats, defence service personnel attended and applauded the event. 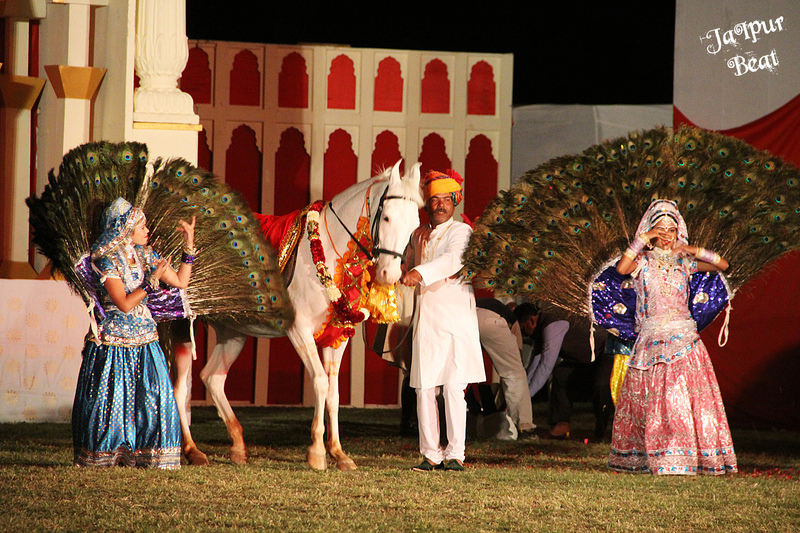 The spectacular night took the audience on a beautiful journey through horsemanship, cavalry displays, music and dance. The event will also take place tomorrow i.e. 15th March from 7:30-9 p.m., don’t miss it and come to Rambhagh Polo Ground to have the best time of your life ! 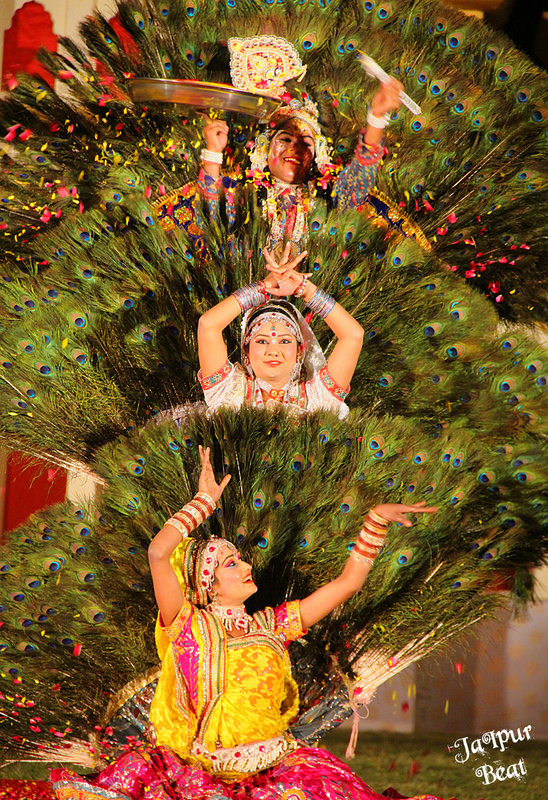 Next Post 3 Reasons to visit Jaipur on this long Weekend! !